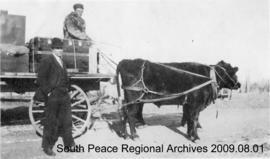 Charles Edgar Sutherland and his son, Charles, left Minnesota for Grande Prairie in 1919. He came by train and brought 2 horses, 2 cows, 1 colt and 1 heifer with him. Son Charles took up land in the Beaverlodge area and later found a homestead south of the Wapiti on the north side of Toad Mountain. He married Mary Gordon in 1929 and they had two daughters. Audrey was born in 1930 and Muriel in 1934. C.E. 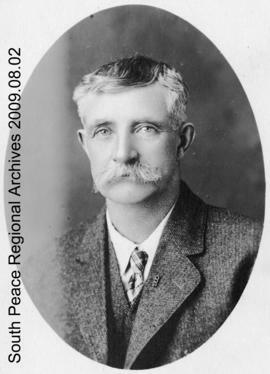 Sutherland lived with his son's family until his death in 1935. These records were originally donated to the South Peace Centennial Museum in Beaverlodge and were transferred to the South Peace Regional Archives by Lori Dalgleish in November, 2008.